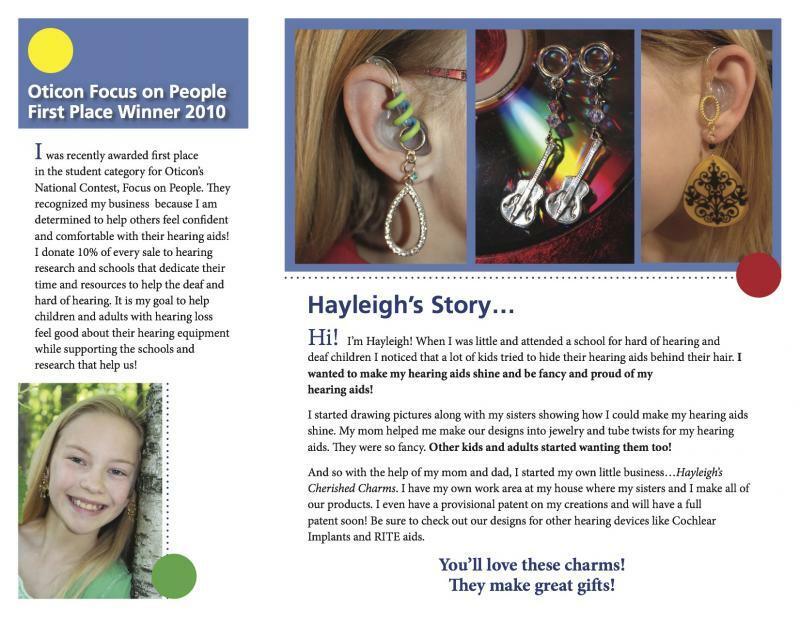 "Hayleigh's charms have been a big hit in our office for patients of all ages. Each time they come in they enjoy picking out a new charm, whether a sparkly one or a holiday one. These charms have made our patients love to show off their hearing aids and the fun charms attached." 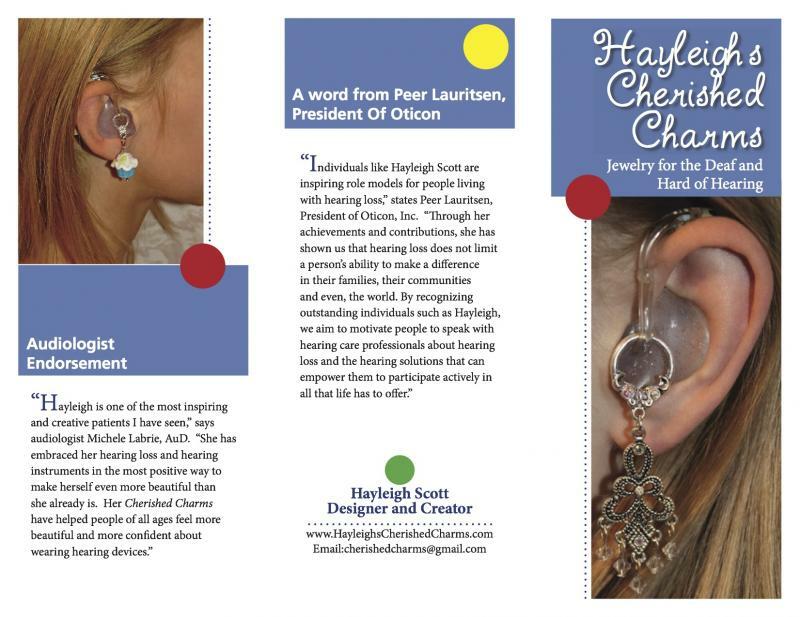 Are you an audiologist or school for the deaf willing to put FREE brochures up in your office? Cherished Charm displays are now international - heading to Canada, Ireland & Australia and stateside are on their way to Michigan, North Carolina, Virginia, West Virginia, Illinois, California, Minnesota, Indiana and Pennsylvania. Recently I sent displays to Florida, Illinois, Alaska, Oregon, Texas, Michigan, Nevada, and Washington, DC! Thank you so much everyone! 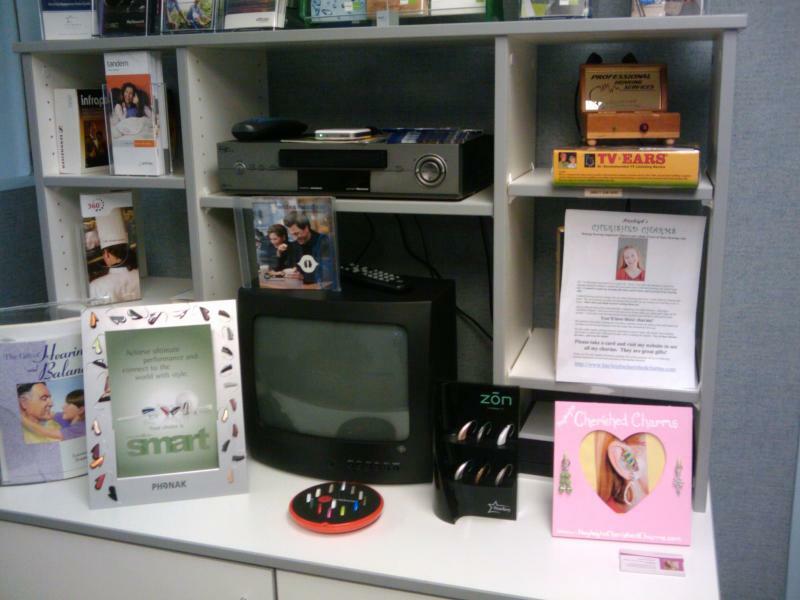 A new display at an audiologists office in Virginia - Thank you for sending a photo of the display and for offering to put it up at your office. It looks great! Hi Hayleigh! The display arrived (I think Thursday) and it is clever. Thank you. SO generous of you to include two examples of the charms and a photo! We put it out on the receptionist counter and hope patients chat about it. The receptionists love the tube twist idea. Already someone from administration saw the display and asked, what is that? It gave me a chance to talk about hearing aids with them and what you are doing. I plan on placing a business card in all my new fittings so people know! I have had a lot of audiologists and teachers buying charms and tube twists as a surprise for their patients or students. I would love to help you do this. 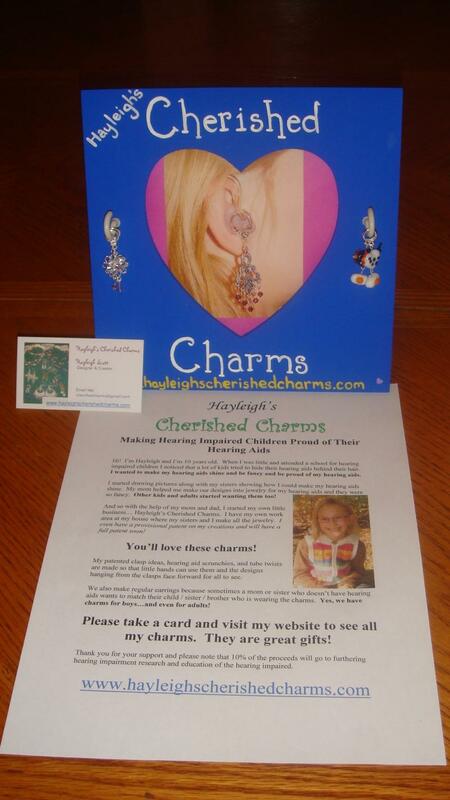 Please email me at cherishedcharms@gmail.com and I will give you a discount and help you with your order. Thank you so much! 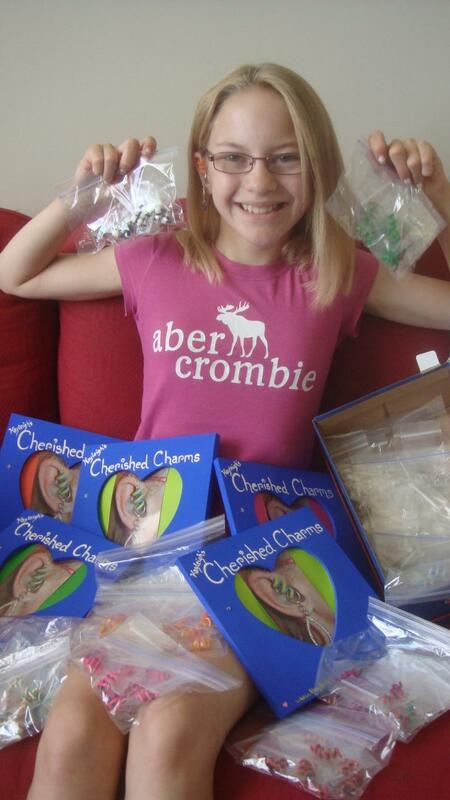 A special thank you to DeafHear.ie in Ireland for displaying and selling charms and tube twists throughout Ireland!